Does Eustace really Amore Muriel? la scelta dei fan: Yes of course. Who do te like more?Muriel o Eustace? which character scared te the most? do te think they should make a courage doll? SHE detto ICKEET I Amore te LETS GET MARRIED EARY MORNING. ICKEET WENT TO HIS FREE fienile, granaio HOUSE INSIDE THE BAGGE HOUSE HAS NO TV BUT A fan (ICKEET) I HOPE POEPLE MAKE TVS AFTER 3 YEARS HE SAID. THE HOUSE WAS GREEN AFTER HE CLEANS THE LIVINGROOM MA KNOCK THE GREEN DOOR (MA BAGGE) HELLO ALLBODY home SO ICKEET WALK TO THE DOOR THAN MA HUG HIM. GLAD TO SEE te AGAIN LETS GET MARRID. THE anno IS 1900S THE HOUSE WAS A NICE HOME. THAT giorno ICKETT IS A TALLEST FATHER OVER BE ALIVE HE IS A LONE FARMER HE WANTS A SON THATS SO STRONG AND A WIFE. THE WINDMILL HAD ONCE HAVE 10 BLADES THAT WILL MAKE THE HOUSE ON. Brave:Doctor will the bambini be twins? King Ramses:Now i'm going to.....REWARD te WITH GOLD! King Ramses:I kept on losing this!I was gonna reward te earlier but i forgot. Courage:But why did te put a curse on my owners? King Ramses:They were old and i hate old people,Anyways te two go sell this oro for money,Bye. Courage:And dont hurt Ribelle - The Brave either!!! Jake:(Dog i made up) Dude why did te say that? That will just screw things up! Courage:Why do te look so sad? Courage:Umm I know I only met te for like 2 minuti but...I think I like you. 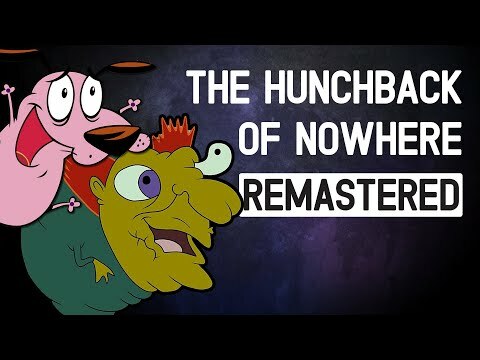 a video è stato aggiunto: Hunchback of nowhere soundtrack (remasterd)! a comment was made to the poll: Do te Think That Eustace should have been nicer to Courage? a comment was made to the poll: which character scared te the most? Which villain was seen more, Katz o Le Quack? what is your preferito episode of Courage? who's your preferito courage character?